Tensions are high as ever between Israel and the radical Islamist terror group, Hamas, as the two have been launching rockets back and forth after Hamas launched an attack on one of Israel’s cities. According to the Israeli Military, Hamas fired a rocket from the Gaza Strip into the nearby Israeli city of Sderot, requiring Israel to strike back. The rocket landed in the middle of the street injuring three people, but no fatalities were reported from either side. Hamas has warned Israel that there will be “military escalation” because of the increase of Israeli airstrikes. 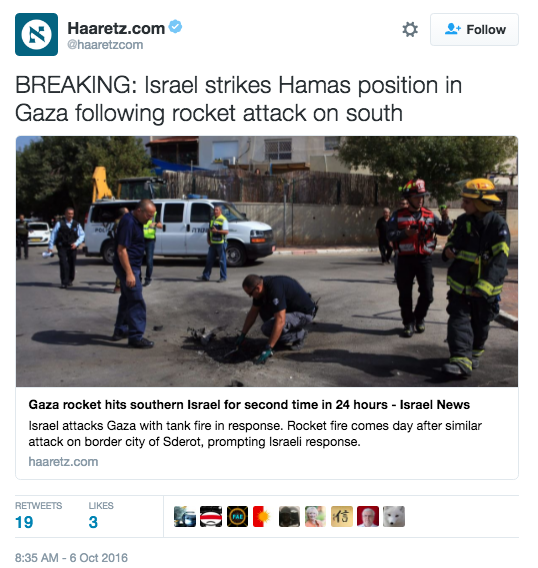 As of Thursday morning, Hamas fired a second rocket towards Israel.